· Explore the coastline that not many get the opportunity to see aboard a traditional Turkish wooden yacht. Allows you the perfect opportunity to relax, sunbath, take in the beauty of the coastline and visit many places of interest, including historical sites, all on one holiday. 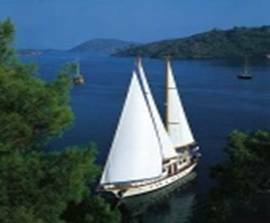 The term ‘Blue Cruise’ originated in Bodrum back in the 1950s when cruising the coastline became popular with groups of painters, writers and historians. These artisans wanted to see more of Turkey, its 8,333km of coastline and its 4 seas so they decided cruising was the perfect solution. Since then many others have followed and now it is a popular option for anyone seeking to get more from their holiday. The boats we use are traditional handcrafted motor sailing yachts called either gulets or catchs. They differ in size and décor but generally they have between 4 and 10 double/triple, en-suite cabins accommodating between 8 and 20 passengers. They have a salon/bar, fully fitted galley and front and rear sunbathing areas with comfortable mattresses and a good mix of sun and shade. The spec of the yachts varies as does the price so please read through our information carefully and email us with any questions you may have. 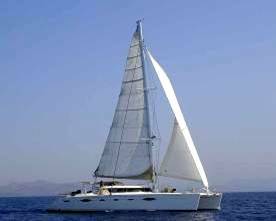 There is no need to be an experienced yachtsman, both our cabin and yacht charter prices include a crew of experienced and licensed staff. A Captain who knows the waters and the best bays, routes and places to moor, a traditional chef to cook you up culinary delights and normally a boat hand who will clean and get you any drinks you may require. In all, a Blue Cruise is a unique experience and no two are ever the same. We have a number of routes to choose from, all incorporating a nice mix of sailing, stopping to swim in secluded bays, mooring both in bays and harbour towns and sheer relaxation on the way. We run 1, 3, 7 and 14 night cruises. For more information please see our CRUISE section or email us at info@altitudeaction.co.uk.